Here are five things a good pantry needs. It seems that everyone likes a good pantry. I have had a walk-in pantry in every house we have owned other than our starter house that we bought as newlyweds. 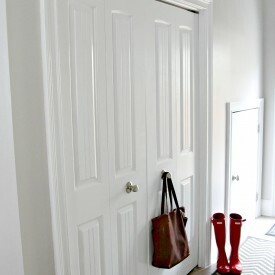 In that house, I converted a coat closet near the kitchen into a pantry and loved it. People who have pantries love them, and people who don’t have one often want one. 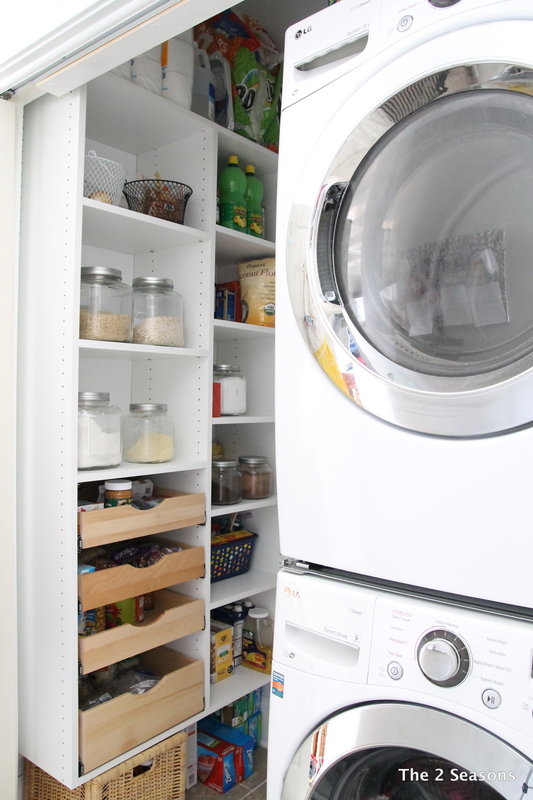 Pantries come in all shapes and sizes. 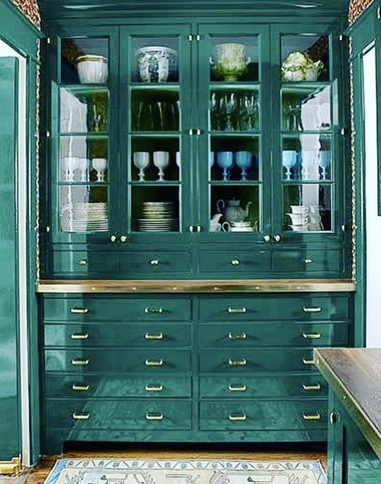 There are kitchen cabinets that are pull-out pantries, walk-in pantries, butlers’ pantries, closets that have been converted to pantries, and pantries that are in a room that is serving a dual purpose. You might remember that Jordan did some tweaking in her former laundry closet, and it is now both a laundry room and a pantry. 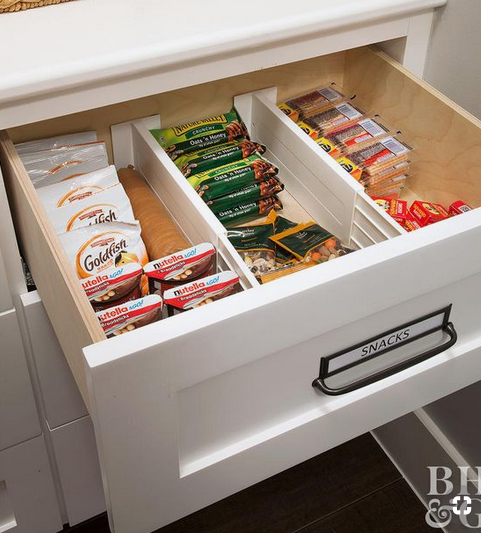 With some good planning, all pantries, no matter their size, can be efficient. 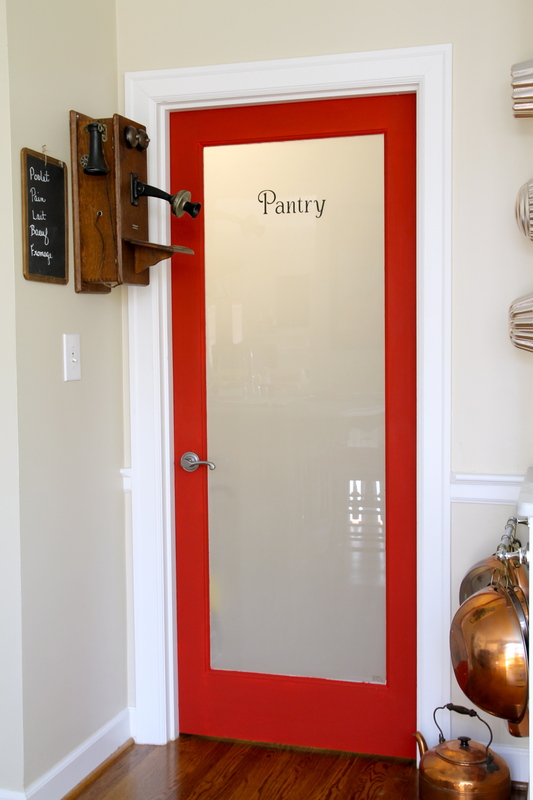 These are the five things that a good walk-in pantry needs, in our opinion. Now let me point out that if your pantry doesn’t have these items, it doesn’t mean it isn’t efficient or isn’t a good pantry. These are just the things I like in a pantry. It’s nice when a pantry has both open and closed shelving. There are items we store in a pantry that we want to see, and items that we don’t. For instance, I want to see my blue and white plates, ironstone, and canisters. 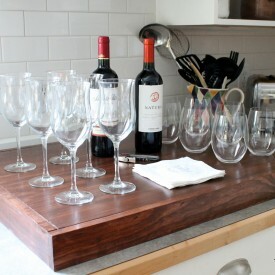 These items are pretty, useful, and add color to the space. However, I don’t want to see my food processor, popcorn maker, slow cooker, and other small appliances. Those items go behind closed cabinets. Ditto for the canned goods, jars of pickles, and baking supplies. It’s important to have canisters and storage containers. A bag of flour or a bag of sugar is much easier to deal with if it has been poured into a container. Brown sugar will last a lot longer if it is in a closed container. Although they certainly are attractive, matching containers are not a requirement. Ball jars, especially the old blue ones, make great containers. I had some wooden lids made for some old crocks, and they are attractive canisters with nice large openings. 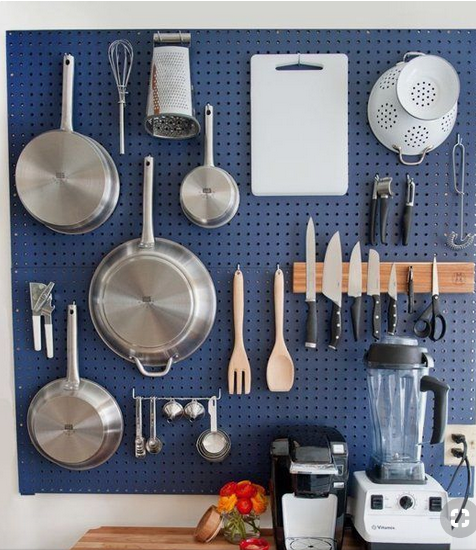 Pegs boards come in handy because they provide a spot to hang your aprons, resuseable shopping bags, skillets, strainers, etc. I love having drawers in our pantry. They store napkins, candles, storage bags, foil, place mats, seasonal items, etc. If you don’t have drawers, then baskets can serve the same purpose. 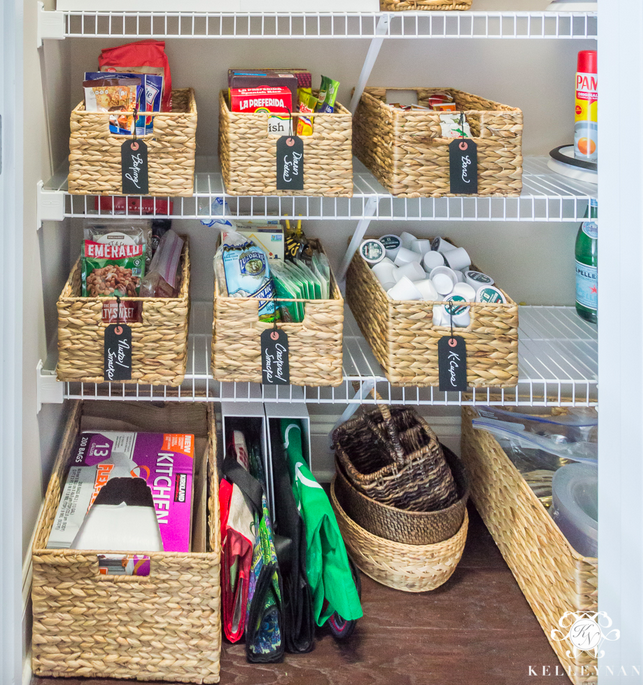 They help keep like items together which is a major pantry organizing tip. 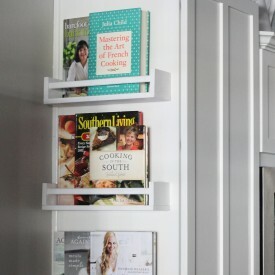 They also come in handy for holding items that you don’t want to see, and then you can put them on top of your pantry cabinets. 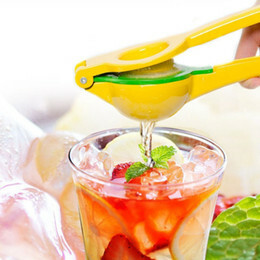 They also can hold snacks, seasonal plates, cups, napkins, etc. along with extra items that won’t fit any place else. Even though we showed you my pantry a few weeks ago, I wanted to use some different shots for this post. 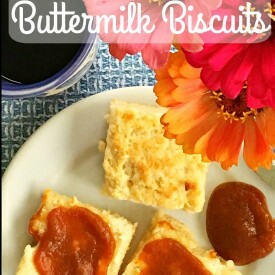 I found these photos on Pinterest which is a great source of ideas for all kinds of pantries. 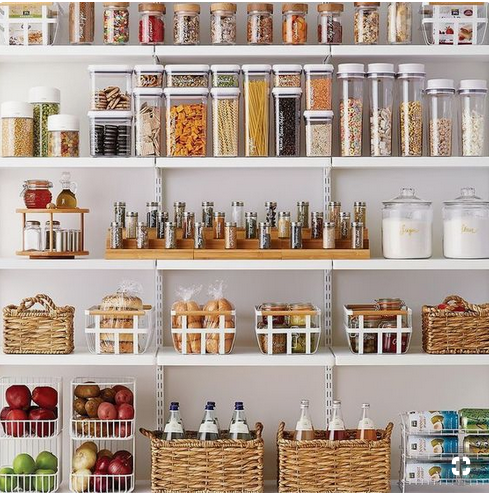 We hope these tips helped you make your pantry the best it can be.